Charles Road will return home this evening after going a long way toward realising his staying potential in Australia. His Matamata trainers believe the trip will prove a coming of age experience for the four-year-old, who excelled in both of his Sydney outings. “We were all very proud of him and he left it all out on the track, he tries so hard,” said Andrew Scott, who prepares the gelding with Lance O’Sullivan for owner David Archer. 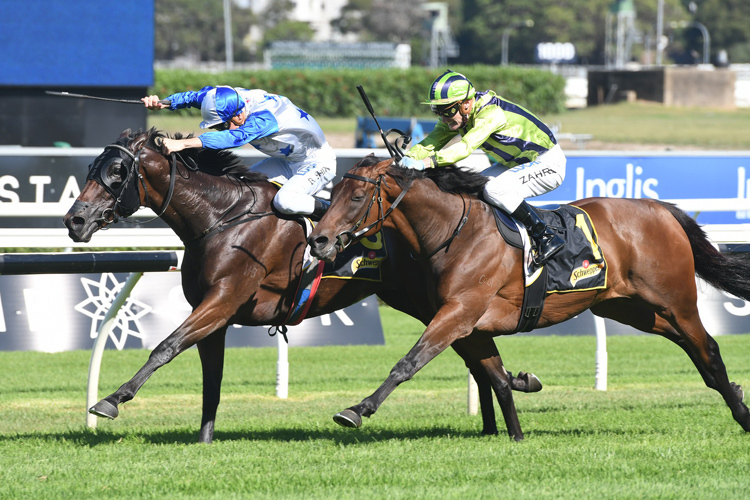 Charles Road won the Gr.2 Chairman’s Quality (2600m) at Randwick and backed up strongly last Saturday to finish third in the Gr.1 Sydney Cup (3200m). He banked more than A$265,000 from his two appearances. “He has lacked experience and maturity, but this season he has gone forward and really hardened up,” Scott said. Meanwhile, the stable has a number of promising younger horses engaged at Matamata on Wednesday. The prospect of a heavy track has Stella Daze (New Zealand Bloodstock Pearl Series 1 m) and Inigo Montoya (Matamata Glass & Joinery 1 m) rated among their best prospects. “I think Stella Daze will handle she’s got a bit of racing and fitness on her side and Inigo Montoya raced through the summer and is still going very well,” Scott said. The former ran a couple of fourths before finishing third at Tauranga while Inigo Montoya was a last-start second on his home track toward the end of March.